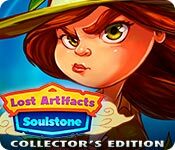 Lost Artifacts: Soulstone Collector's Edition is rated 2.9 out of 5 by 20. Rated 3 out of 5 by Sante001 from Maybe SE But Not CE Quality or Value There are several reason why this game should only be a SE version. It does not have a strategy guide. Not that you will need it for this game, but in today's gaming world, CE games should at a minimum have a strategy guide, of course this is my opinion. There is no skip option. Sometimes we just want to get to the game and avoid all the chit-chat. Each play scene seems to have a lot of things that seem not to have a purpose. You try clicking on them and nothing happens. The instructions are adequate, not great. There is minimum challenge. As a SE this game might be good for beginners. 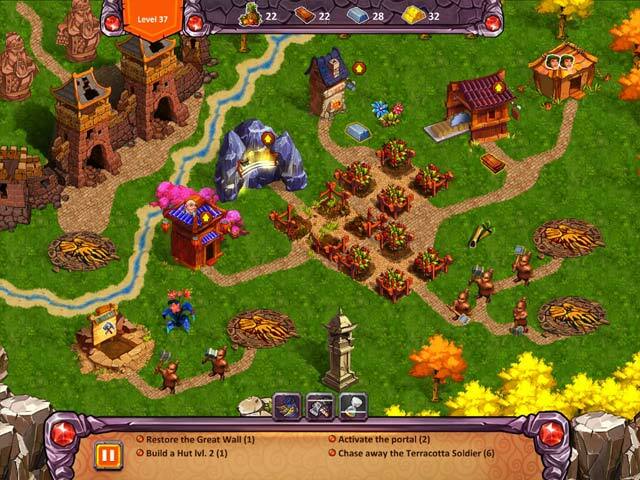 Rated 3 out of 5 by nibblet123 from Just ok Another gather resources game which is fine but I found this one boring. I have two from this series and nothing is different. I just did not find this fun or creative at all. Just gather and gather. The lands around the gathering area are boring - nothing to look at or explore. Each screen seems the same. Not sure why this is a collectors edition. Sigh... I would really like a good TM game. I just keep looking. Rated 3 out of 5 by Karavan from Very very just OK This is based on the demo since I am not intending to purchase this as a CE. I don't think I have ever given a game all OKs as usually something stands out better in the ratings. The graphics are very cartoon as in the other games in this series but these just seemed small and uninspiring. I was actually annoyed playing this and am not sure why. It got more difficult as you progressed but the fun factor was not high. Still it offers a decent experience and might be enjoyed more by children. I would consider this game because there are few of them offered if it was not a CE and I could use game credits. I just can't recommend it as a CE. 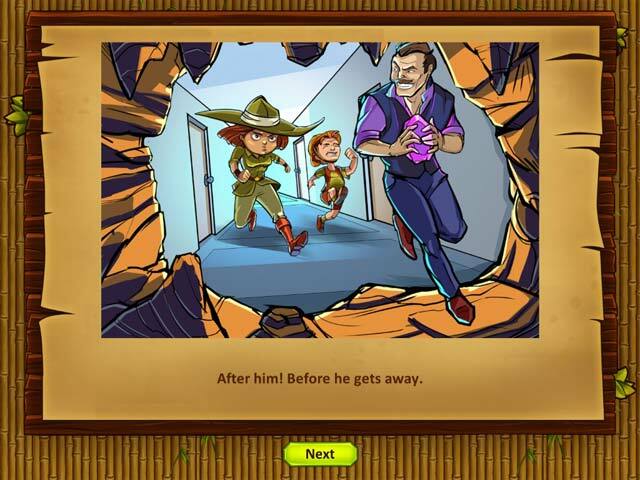 Rated 3 out of 5 by joybelle_1 from Very average offering I have all the games in this series, and you would think I would have learned my lesson by now. This is not worth the title "collectors edition" So starved for a new "gather recourses" game I jumped in, and just as in the others, this game is not horrible, but severly lacking any pazzaz! There is no strategy guide (really a must even if you don't need it in a CE), The choices of music are all set at different volumes and sometimes can hardly be heard whilst testing them. There are no choices of difficulty and the only extras are music and wallpaper. The graphics are very dull, buildings are not clearly marked, and sometimes I had to scan hard to find the beginning house. The little characters are the only thing that has had a makeover and actually look less cartoony than previously. This game is just like a cheap and very dull knockoff of 'Gnomes Garden'.. it even has the equivalent of "merry makers" sometimes to speed up the production. I first turned the tutorial off, but found myself having to turn it back on just to see which buildings and houses were what. The Instructions are often only understood if you check your task list and realise things such as, after you have built a statue..you have to click it a second time to mark it off. If you are new to this game series, that would be very confusing I am sure. I cant totally knock the game though, as I am so starved for this genre of game that I am simply enjoying running around madly collecting things! There is however no way it is worth buying the CE that I can see, other than bonus levels. So in summary.. I think I would go as far as saying I would recommend you buy this as an SE, cannot recommend it as a CE. Rated 3 out of 5 by erin74 from Not worth it - just ok Not sure why this is a Collectors Edition. Just ok as a game. Got through the entire first section - about 14/15 levels in the trial hour. Got through each level really easily with 3 stars. Not very challenging. No choice to make it more difficult. The story line didn't really go anywhere. It was fun enough to play, but not worth buying as there is no challenge. There are bonus levels but I didn't discover how to access them. The sound effects are annoying. Rated 2 out of 5 by Tflo from Um....No This game is just too cartoony! The graphics are childish and the game play is repetitive and just plain boring. No challenge whatsoever. Rated 2 out of 5 by themaestro023 from Wait for the Standard version, then use one of your free credits I like this series of games Lost Artifacts but releasing this as a CE is totally unwarranted as it barely passes for a standard release. This being the third one in the series you might have thought the game would get better but, if anything, it's got worse. There are no difficulty levels to choose from and the only difference I can see from the standard version are the so-called bonus levels which are just added on as an afterthought. They are not anymore difficult than the rest of the game, so are not worth the added 'CE' and you only get ten extra goes. Compare this game to Tribloos 3 with their 101 levels and you wonder why they even bothered with this game in the first place. Not for me. Rated 1 out of 5 by laplatz from no challenge at all This game is far too easy. The previous games in this series have been fairly challenging and fun to play, but this one I finished with more than half the time left on almost every level. Also there are a couple of mistakes. F. Ex. a goal called light a signal fire, but the 'signal fire' turns out to be a water wheel... I do not recommend this game. Rated 1 out of 5 by Ndwelt from Bad REALLY Bad YAY! A time management game. My favorite genre! Then much to my dismay, I thought, Egads! What a ridiculously easy game. A Collectors Edition? I don't think so. Absolutely No "sparkles" or hidden items to find in the LONGEST waiting times between collecting items. Only had to play a couple levels twice, and that was because my cat was sitting between me and the screen. No need to use any of the run, build fast or time stop. I am going to be gracious and assume the developers left a whole lot out of which they mean't to put in before releasing this game. Even as a standard, I wouldn't even recommend it for TM lovers. Minus 10. Please at least give us Some challenge or experts level to play! 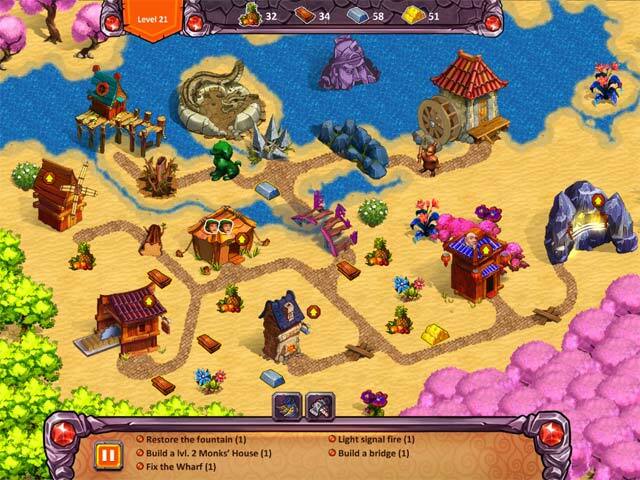 Lost Artifacts: Soulstone Collector's Edition is an exciting strategy game based in a world of magic and myth!